Texas Gov. Greg Abbott, requesting Dual Status Command, Aug. 27, 2017. Texas Gov. 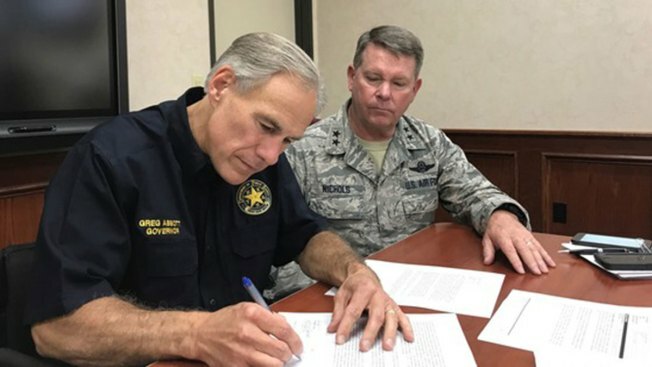 Greg Abbott requested Sunday from U.S. Secretary of Defense General James Mattis that a Texas National Guard Dual Status Command (DSC) be established allowing for a single commander for both federal and state forces to oversee response to the devastation statewide of Hurricane Harvey. 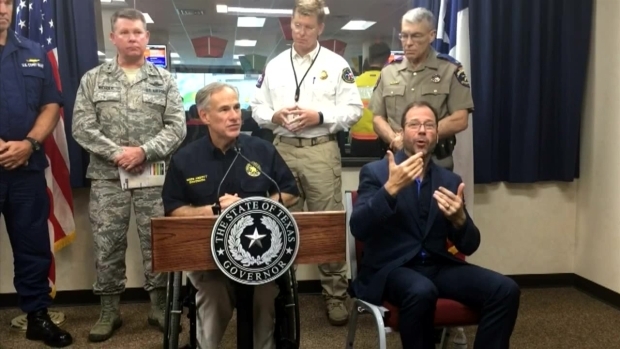 "It is imperative that we give our military and first responders on the ground the most efficient method of execution when responding to the urgent needs of Texans," said Abbott. "The Dual Status Command will ensure that the Texas National Guard is overseeing all response efforts in a way that most closely coordinates with federal troops and military efforts to ensure the needs of the victims of Hurricane Harvey are being met as swiftly and effectively as possible. I thank Secretary Mattis for his cooperation and immediate response to our request and continue to assure the people of this state that Texas is doing everything possible to aid in your time of need." The DSC will centralize command and control, provide both federal troops and the Texas National Guard chains of command with a common operating picture, and facilitate unity of effort from all assigned forces. During the DSC operation, the National Guard remains a state entity under the exclusive command and control of the governor, while the president remains the commander-in-chief of federal troops.